Severe action has been taken against nine illegitimate residential moving companies by the state. Companies that have been operating without permits in Washington have faced a severe action by the state regulators. 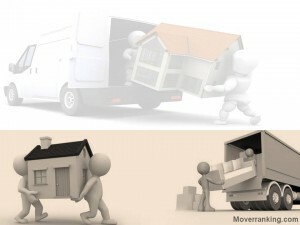 UTC Washington, administrative law judge has passed a strict order stating that the nine moving companies should stop providing residential moving services until they obtain a specific permit that is legitimate. Following are the six companies that received a penalty of $5,000; others were suspended for two years on provided condition that the company must meet the terms of the commission order. Cope Quality Services, owned by Carrie Creech of Poulsbo. The aforementioned companies, having failed to appear, they were fined an amount of $5,000. Administering and inflicting consumer protection and safety regulations, UTC- Utilities and Transportation Commission is the state’s watchdog agency operating within the state. Having no control over interstate moving companies, it ensures that the movers are charging appropriate rates while maintaining their vehicles upto the safety standards and carrying proper insurance. This entry was posted in Latest Moving Company News, Moving Companies and tagged Best Moving Company, Ilegal Moving Companies, Movers News, Moving Company, Moving Company News by moverrankings. Bookmark the permalink.